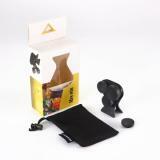 This Mrs win 5 In 1 Multifunctional Phone Lens adopts 360 degree easy switching and is compatible with the most of popular mobile phones. Just take it. 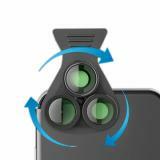 Different with traditional and complicated mode of changing lens, Mrs win 5 In 1 Multifunctional Phone Lens adopts 360 degree easy switching mode of leans. 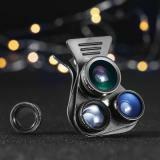 With 5 kinds of leans that include wide angle, macro, fisheye, CPL and TC, Mrs win 5 In 1 Multifunctional Phone Lens will take you to explore a more excellent world. 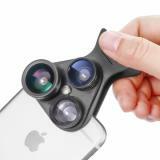 • Quick link: 4 In 1 Phone Lens. This stand has made doing live videos so easy. No need for extra lighting! This stand does it all! Everyone on my team now has this and loves it! I recommend this to all of my new team members! I loved these! I travel a lot and wanted to have good camera lenses for my phone, and these were great for the money. I got this for my wife so that she could take some pictures for her food blog. Everything seems to be surprisingly good quality. I was a little skeptical but it the pictures are pretty good. 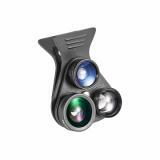 Granted they aren't DSLR quality but they offer much more options than the straight lens. 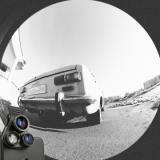 This crazy thing is fantastic and so useful! I didn't realize just how much I would use my turtle. It holds my phone while charging so I can easily see it, makes bedtime gaming comfy and super helpful for video calls. LOVE it.. I just received these lenses (super fast shipping) and had to try them right away. I love that they fit perfectly on my iPhone and the sizes are great. My husband also tried them on his Android phone and it works too, making both of us very happy. This helps me film videos and also take photos with better lighting. Contrary to other reviews, it holds me iPhone 8 Plus, with a bulky case on it, with no problem.